Enter to Win Free Managed Services for a a FULL YEAR! Don’t you just hate having to constantly update your plugins, and themes? How about backing up your site? When was the last time you actually backed up your website? These are all important tasks that should be run (at least once per week), otherwise, you’re opening yourself, and your business, up to potential hacks. We dive deeper into updates and their importance in our blog, take a look. Web Hive takes your website, and business seriously. That’s why we’re excited to be launching this contest. Not only will one lucky winner get to experience the full breadth of our services, but also the support and hosting that comes along with those services. We’re a local company (GTA). We OWN our servers, and our support team is local as well. 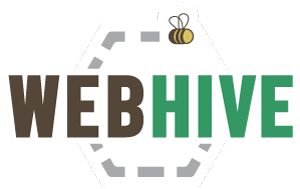 You’re getting the real deal with Web Hive. Enter to win 1 year of free managed website services including hosting for a small business from Web Hive – That’s right ONE FULL YEAR OF MANAGED website services FOR FREE! That’s a lot of savings if you win, and a whole lot of free time too! We’ll migrate your site over to our servers, and make sure to manage all the updates, patch all the vulnerabilities, and get your site up to snuff. If after a year you’re not happy with the service you receive from Web Hive, there are no obligations to continue working with us after your free year of service. Let’s take a minute to consider the benefits.